Chicago you are snowy, cold and it has got to go!! Are you covered in snow and thinking why the first day of March?! This dress from 522Envy has me thinking of Spring! && lucky for you its 15% off right now. 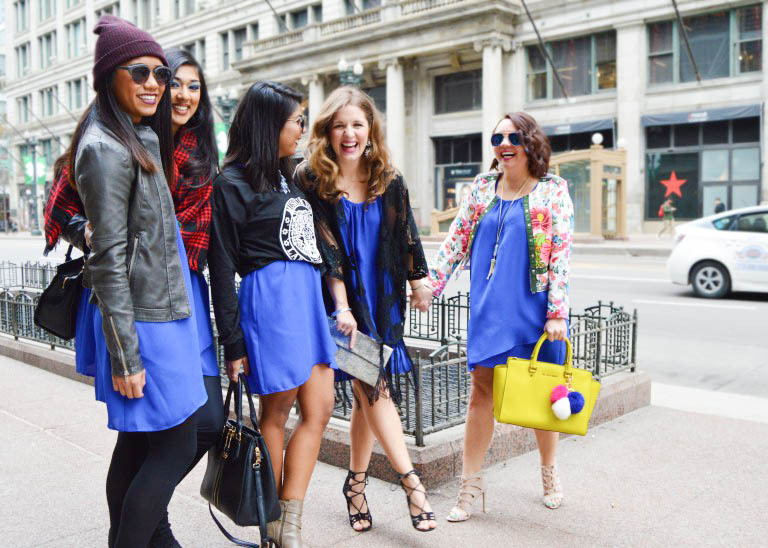 Chicago Blogger Babes to style the same dress 5 ways I of course jumped in! be worn so many ways. The color is perfect for Spring and hey I can't wait to style it multiple different ways. Carla from @chronicallychic went for a biker babe look and I am loving it all from her beanie all the way to the tights. 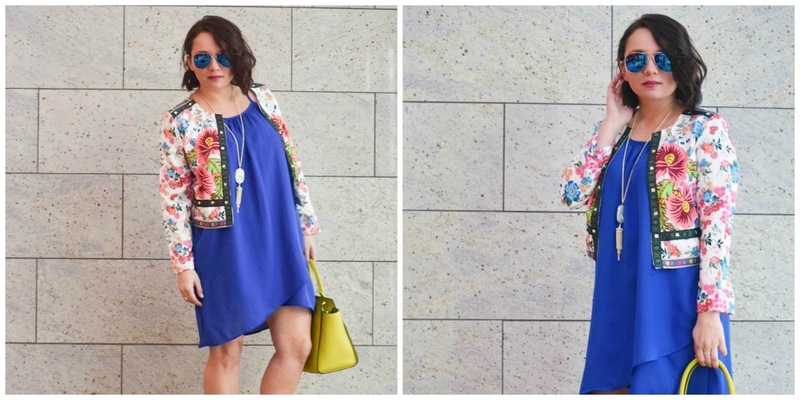 So tell me how would you style this perfect blue dress?! This must have been such a fun challenge to take part in - and fascinating to see how you each styled the gorgeous cobalt blue dress! Thanks lady :) each girl with their own unique spin! You all look gorgeous! Love your blazer, so pretty! You guys are all too cute! Loving this post! Samantha thanks lady! I loved this shoot! Thank you lady! We had a blast!! Monique thanks lady :) We had a ton of fun! You girls look fabulous! Love this! All of you girl bosses look SO GOOD! I absolutely love the idea of this post. It's hard to pick what the best look is. Rock on, ladies! So happy to be getting to know all of you amazing ladies. I'd definitely throw a moto-jacket on top of this, but I could also see myself throwing a belt around the middle and that's it! So cute. this is so different from your usual post! Love the group shots! 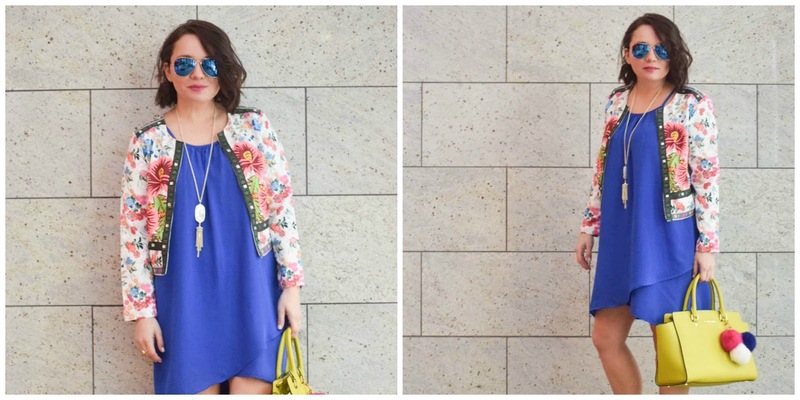 Your look is the real deal for spring! Love the colors. This is such a fab post! I love seeing outfits worn in different ways! Ahhh this was so much fun!! So happy we all got together-- must get drinks soon!! I can't enough of how you styled this dress. That jacket is amazing! this looks so much fun - love the ideas!